Our Personalised Door Mats make the perfect unique gift. Traditional coconut or carpet custom printed door mats with photo quality printing and everything in between. Have your door mats personalized with your house name, family name or a funny message. We are sure you won't find a better quality selection of personalized door mats anywhere. Design your own doormat with the UK experts. 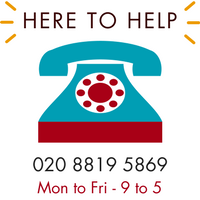 Talk to us on +44 (0)20 8819 5869 if you need any advice, we're here to help.